In a small bowl, combine the ingredients of the dressing. Book. 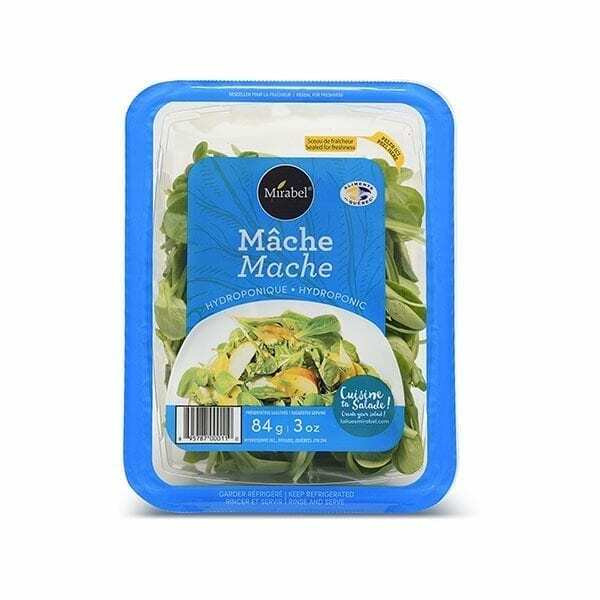 In a large salad bowl, place the Mirabel mâche. Crumble the goat cheese. Sprinkle the mixture with the vinaigrette. Place the strawberries on the salad. Add the pecans and serve.